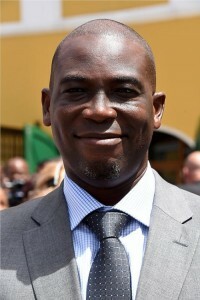 WILLEMSTAD - Minister of Justice Quincey Girigorie says that the conclusions of Human Rights Watch about the Venezuelan refugee flow to Curacao do not make sense. The human rights organization wrote in a report that Venezuelans, among other things, do not have access to a lawyer and are treated badly. But according to the minister, the organization never gave the government an opportunity to react to these accusations. Moreover, there is a public telephone in the illegals barracks, where, according to the minister, illegal immigrants can easily contact a lawyer.